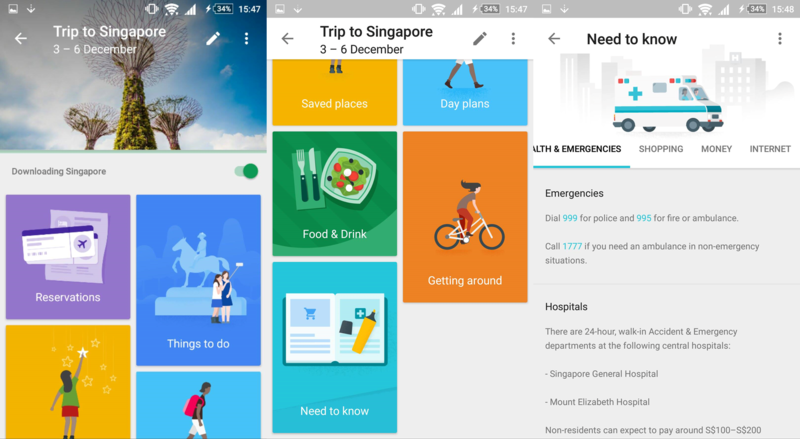 Should M'sian Travel-Related Startups Really Be Worried About Google Trips? I’ll be honest. 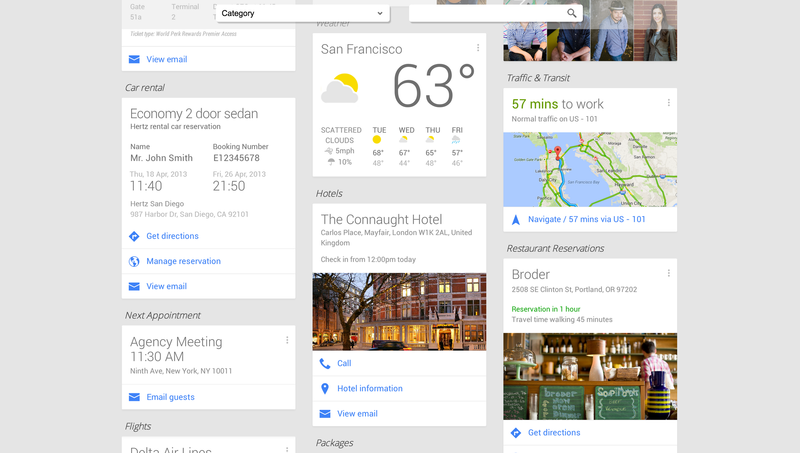 From the start, I was already sold on the idea of Google Trips. I’m already a regular user of Google Now, also known as the really stalkerish app that among other things, knows where you are, will tell you how long your commute home is going to be and suggests new articles for you to read based on topics you’ve shown interest in, in the form of cards. Most of this information is gathered from your email, calendar and location. One of my favourite features is that when travelling, if your flight details have been sent to your email, Google Now can extract it, and have the boarding pass, terminal, gate and all that other useful information in one place. It even occasionally gives alerts if your flight is delayed. Once overseas, the cards also occasionally give recommendations on nearby places and activities. 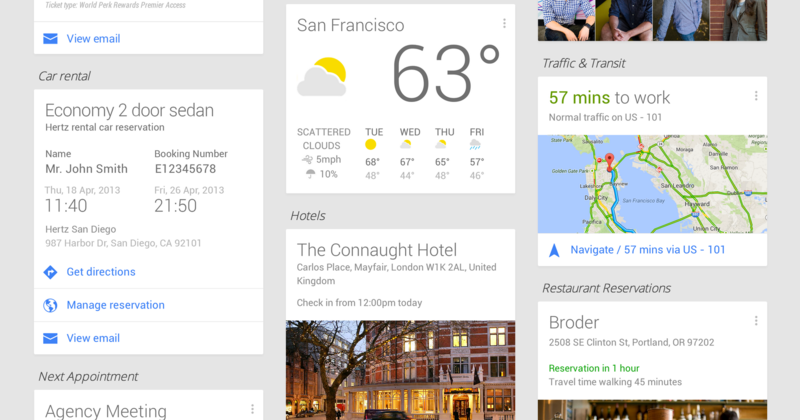 Google Trips takes all the features I love from Google Now and adds a little bit more to the experience. 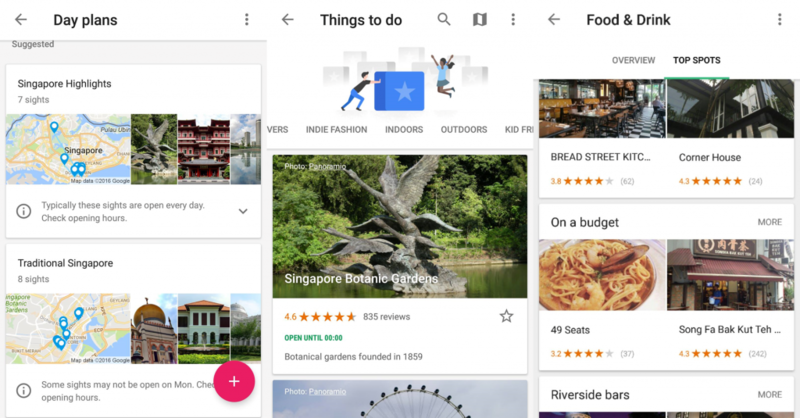 Besides pulling out your flight and hotel details from your email, Google Trips allows you to plan out things to do, sights to see, and even figure out how to get around. There’s also a ‘Need to know’ section for certain countries that will provide you with important information, such as emergency numbers, and even tell you about GST and tipping cultures in that country. Better yet, once you have your trip planned out, you can download it so that it’s available on your phone even if you have no data or Internet connection. Just like how Google Flights was set up to compete with other flight booking apps like Skyscanner, certain features in Google Trips should really make travel related companies sit up and take note, lest they be edged out by this new player on the field. Many travel businesses rely on making things convenient for their users. Packaging tours, suggesting & providing interesting activities, allowing the user to move around like a local in a city that’s completely foreign to them, all these are value-added services with some travel startups offer. 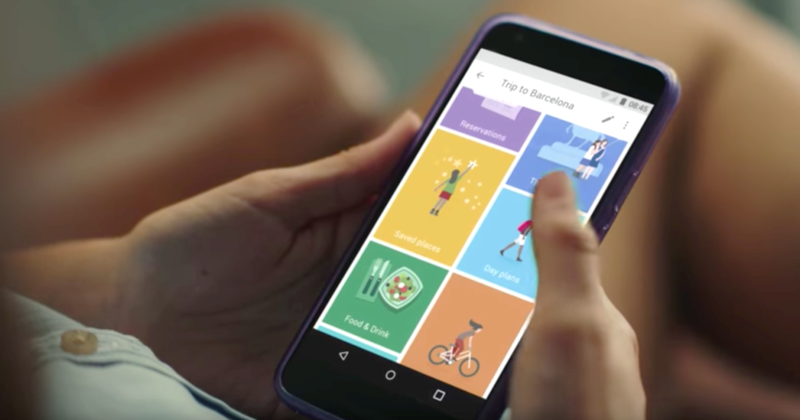 Google Trips now takes all that and gives it to us for free. Of course, there is money in it; businesses will certainly pay to be featured more prominently in the app, but the user doesn’t absorb any of that cost (for now). From Day Plan suggestions complete with routes and themes, to listings of individual places to recommended food places, the app combines everything you would normally be Googling for anyway, before a trip or while you’re on one. You can even customise your own day plans, complete with estimated travel times and methods between different locations. Travel platforms such as LokaLocal, Local Usher and Touristly operate on the basis of curating experiences for travellers and also helping them to plan their trips. It can be argued that they win in terms of personalisation and bringing a real human touch. However, if I’m travelling and there’s an app that I can easily download into my phone that lets me do about the same thing for free, why would I want to use their services? Also, most online travel businesses require signing up, signing in, filling up forms and other nitpicky business. On the other hand, it should be conceded that they do take care of everything and can help with special arrangements such as providing transport, procuring all the entrance tickets to places ahead of time and so on and so forth. They curate and promise hassle free experiences that are a step away from the commercialised large tour groups. If, in the future, Google Trips integrates in with Google Flights and perhaps a hotel or restaurant booking app, then a wider range of travel startups that now provide these services should be worried. After all, the convenience of having everything seamlessly in one place is quite hard to resist. At the end of the day, if you’re the sort of person who still likes guided tours, be hand-held wherever you go and not think about anything when travelling, then Google Trips is probably not for you. The traditional model or the travel startups will probably still be your best options. But if you are a user who likes to take control your trips, seek out local experiences, venture away from tourist traps and be free to explore a new city, then this app might be one to add to your roster in your smartphone. It’s definitely going to be part of mine.